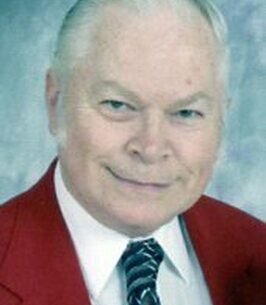 William Stillwell Service Details - East Liverpool, Ohio | Dawson Funeral Home, Inc.
East Liverpool, Ohio – William Kenneth “Bill” Stillwell, 76, of East Liverpool passed away at his home on Wednesday, October 24, 2018 with his wife by his side. William was born in East Liverpool on February 22, 1942 a son of the late Raymond S. and Margaret Hindle Stillwell. He was a graduate of East Liverpool class of 1960. He worked for 20 years at Globe Brick in the maintenance department until they closed and then retired from Carriage Hill Foods in 2007 where he worked in the press room and packaging. William was a member of Virginia Avenue Church of Christ in Chester, WV. Preceding William in death was is son Kenneth Raymond Stillwell on November 25, 1987. Surviving are his wife of 54 years, whom he married September 5, 1964, Carol J. Plum Stillwell; daughter Constance (Rob) Wilson of Macon, GA; three grandchildren Danielle Wilson of Macon, GA, Joshua (Katie) Wilson of Pittsburgh, PA and Seth (Ashley) Wilson of Perry, GA and two great grandchildren Aubrey Rose and Oliver Grant Wilson both of Perry, GA.
Friends may visit Sunday afternoon and evening at the Dawson Funeral Home where the family will be present from 2 to 4 & 6 to 8 p.m. A funeral service will be conducted Monday at 10:00 a.m. at the funeral home with Evangelist Rico Brown of the Virginia Avenue Church of Christ officiating . Following the service, friends and family will gather at the Virginia Avenue Church of Christ for fellowship. The family would like to extend a special thank you to the staff of Hospice of the Valley for the wonderful care that William received. 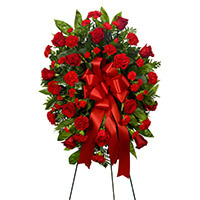 To send flowers to the family of William Kenneth Stillwell, please visit our Heartfelt Sympathies Store. So sorry for your loss - praying for the family for comfort and strength during this difficult time. We love you Connie and are praying for the entire family. May God provide you the strength and comfort that only He can.